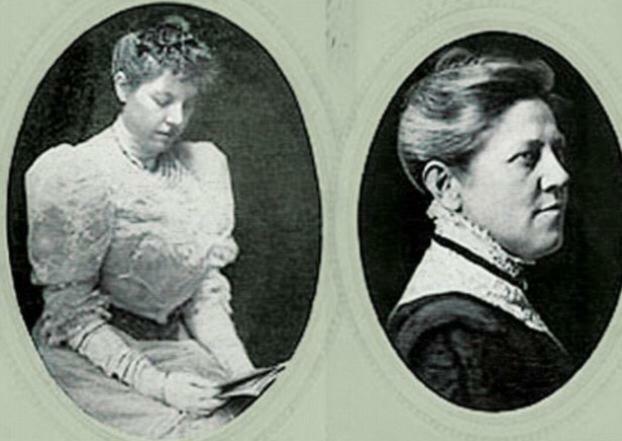 Jessica Stavros, Director at Culbertson Mansion State Historic Site and Board Member of the “Happy Birthday Park”, will speak on Saturday, March 18, at the Little Loomhouse on the history of the Hill Sisters, composers of the “Happy Birthday Song”. Jessica Stavros has a BA in History from the University of Louisville and an MS in Business Communication from Spalding University. Her previous work includes Historian and Curatorial Assistant at the Portland Museum and docent training and weekend manager at Farmington Historic Home. She is a Boone Member of the Filson Historical Society, a member of the Louisville Historic League, an Organizational Member of the Kentuckiana Heritage Consortium, and a member of the American Association of State & Local History. Reception with light refreshments and viewing of current “A Celebration of Women” show at 2:00 and lecture will begin at 2:30. Suggested donation of $5.00 for members, $10.00 for non-members to the restoration and preservation fund of the Loomhouse. This entry was posted in Lecture, Special Events on March 18, 2017 by Lou Tate.